18 acres added in Wells County. 19 acres south of Warsaw. 17 to two preserves in Noble County. 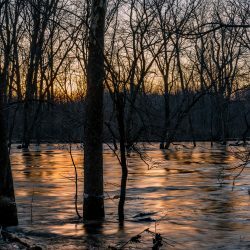 In addition to acquiring larger ecologically rare and unique lands, ACRES Land Trust values the opportunity to work with its neighbors to expand existing nature preserves through smaller acquisitions. ACRES never pays more than the appraised value of land and often acquires property through bargain sales or donations, whereby land donors may receive tax benefit. Recent preserve additions span the organization’s 27-county service area. ACRES recently acquired 17 acres from neighbors to Wildwood, south of Warsaw, expanding the preserve and enclosing its small pond. 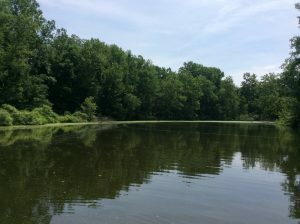 Roger and Carla Wagoner, neighbors to ACRES’ Wildwood nature preserve south of Warsaw, gave the nonprofit the opportunity to purchase a 19-acre addition, enclosing the preserve’s pond and protecting the oldest part of the adjacent forest. The Conservation Fund provided funding for this addition. These lands are being conserved, in part, by funding and technical assistance made available as mitigation for impacts caused by the construction and maintenance of the Reynolds Topeka Electric System Improvement Project in partnership with the United States Fish and Wildlife Service. ACRES needs to raise $43,584 to complete this acquisition. 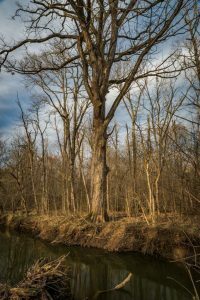 A generous Allen County couple helped ACRES purchase another 16 acres from a neighbor to ACRES’ Sauga Swamp preserve in Noble County, adding to its protection. When a generous Allen County couple approached the nonprofit about how they could help, the organization reviewed options. 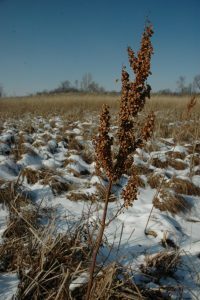 The conservation-minded donors chose to fund the purchase of a 16-acre addition to ACRES’ 68-acre Noble County Sauga Swamp from a preserve neighbor who had been in touch with the organization. 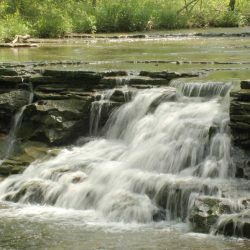 The land trust also recently accepted the donation of an acre to its ten acre Tamarack Nature Preserve in Noble County. Wells County land donor Kristie Fuller recently added 18 acres to the 56-acre Hurb and Frances Fuller Woods, named for her father and grandfather, which she donated in 2017. Photo by Thomas Sprunger for ACRES. Southwestern Wells County land donor Kristie Fuller recently added 18 acres to the 56-acre Hurb and Frances Fuller Woods preserve, named for her grandfather and father, which she donated in 2017. ACRES Land Trust, Indiana’s oldest and largest land trust, protects and manages 7,000 acres on 100 properties in the tristate area. You can take responsibility to help protect local natural and working land by donating, joining as a member or volunteering with the nonprofit. 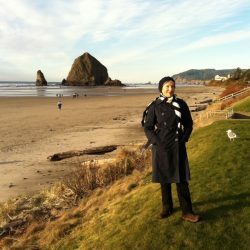 Connect with ACRES Land Trust at 260-637-2273, acreslandtrust.org or on Facebook at facebook.com/ACRES.LT.